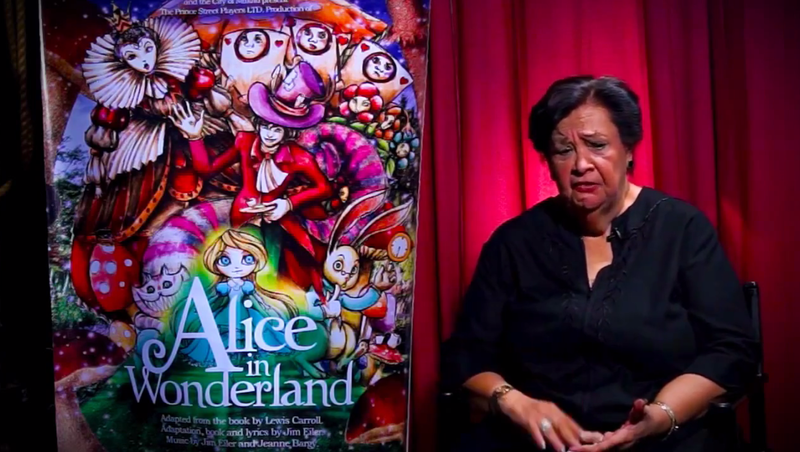 Ms Baby Barredo, one of the founders of Repertory Philippines, is better known in the theater community as “Tita Baby”. Being almost everyone’s “tita” really made this community one big happy family. 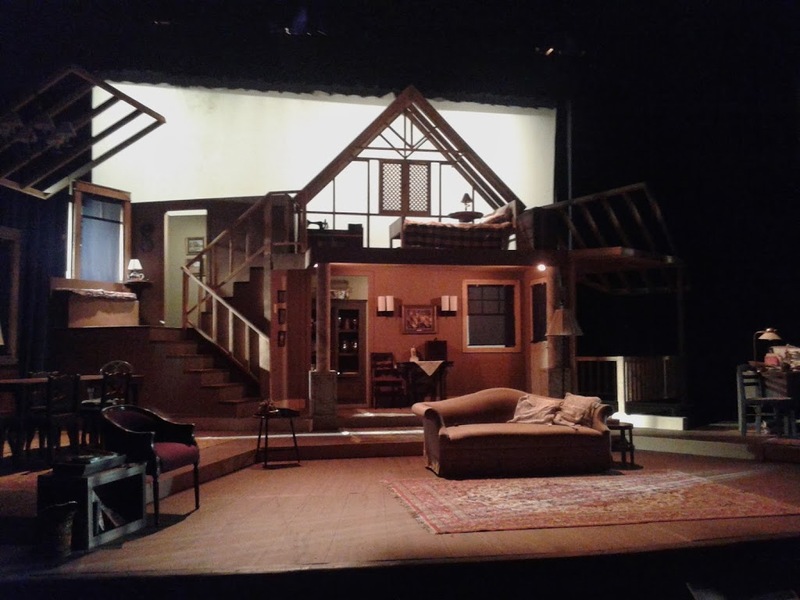 And just like how in any family, the children grow up and start putting up their own families, most of the new theater companies that get built up are mostly alumni of Repertory Philippines – something Tita Baby is very proud of. But how did Repertory Philippines start? Of course the most reliable would be Tita Baby herself. She granted an interview years ago sharing how everything began with her talking to Tita Bibot (a.k.a. THE Zenaida Amador). At that time in 1967, the only productions, the only theater productions, were school productions. And Amador and myself, founders of Rep, we were both teaching in St. Joseph’s College. And we were like this, a play was going on ‘Arms and the Man’, Bernard Shaw. And Amador and I were in the wings, waiting for our cues. But we knew that the actors that were coming out in the play, they were all frustrated because all that they wanted to do was to act. But because we couldn’t make a living out of it, they were forced to be account executives in advertising companies. Subas Herrero – he’s gone now, may he rest in peace – he was frustrated because his parents forced him to take up medicine. They were very unhappy. And then Amador and I said ‘Why don’t we start putting a theater where people can use their talents and develop their talents?’ And that’s how we started. So we put in 250 bucks. We were 5 of us. That’s Php250 for you. Don’t laugh. She’s serious. It’s the 60’s. Php250 can still go a long way at that time. Multiply Php250 by 5 and Repertory Philippines was born. Tita Baby continued her story as she mentioned feedback upon putting up one of the first theater companies in the Philippines. Anyway, actually we used to rehearse. We used to beg, borrow, steal rehearsing houses … in schools, wherever we were invited to rehearse. We would beg, borrow, steal costumes and stuff like that. We’d either borrow from different schools or we steal them. But the office was the little beetle Volkswagen of Bibot and that’s how we started. Apparently the drive was way stronger than the obstacles thrown their way. I can only imagine the kind of struggles they went through. Tita Baby sharing these roots herself makes you understand better how tough the road to success really turned out to be. And then there’s feedback. Not all good but still worth noting as she shared thoughts about high expectations. Anyway, then we started doing plays. We opened our season with a Tagalog play which very few people know then. We were called elitists. We were called that we were not Filipino citizens because we were doing just American plays and English plays and musicals and stuff. 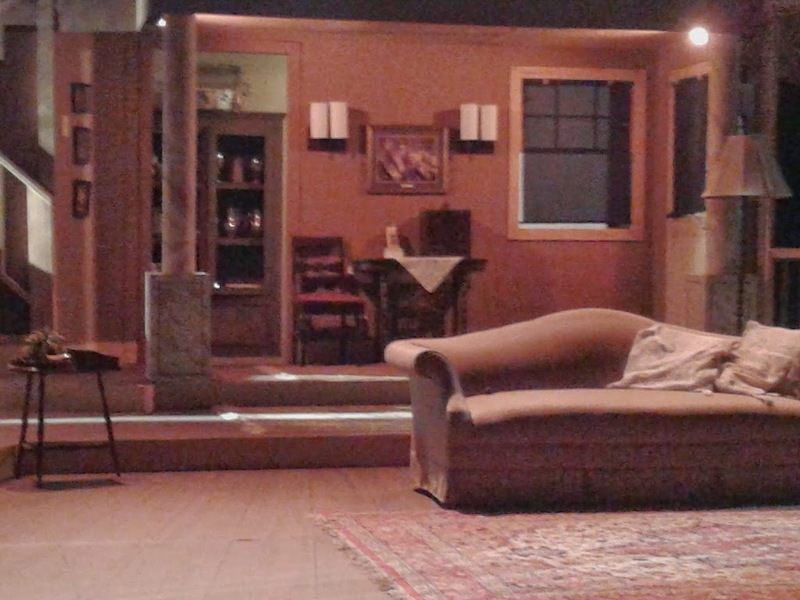 They don’t know they first play we ever did – sure it was Strindberg, ‘Miss Julie’ – but it was in Tagalog. It was an adaptation. Repertory Philippines starting out with a Tagalog play. And naysayers have the nerve to say that they are not Filipino. Between them and Tita Baby et al, who managed to establish a legacy anyway? Besides if you really love what you do, not even the scariest storm can scare the crap out of you. That’s when she started sharing about one performance that they decided to push through despite the heavy rain downpour. It happened in the theater where they commonly perform – in the Insular Life building in Makati. The water was entering the little Volkswagen. I was steeped in water. We went to the theater. There were, I think, 9 or 10 people in the audience. They outnumbered us. We were 4 onstage, 4 characters. 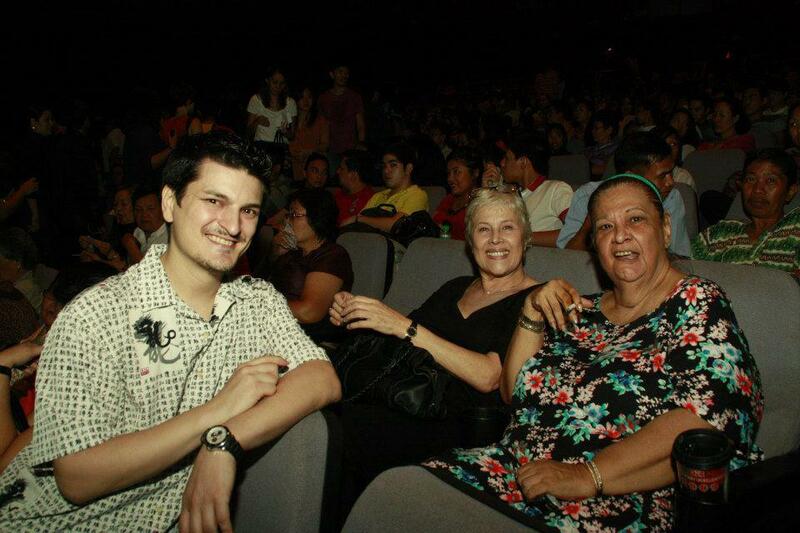 And we did not know that one of the people in the audience was Don Jaime Zobel de Ayala who owns Insular Life. We didn’t know that. And then during the acts, my husband Leo Martinez who played the role of Richard Burton in the movie, he had some kind of an attack or something. So it was between acts. And so we have to call somebody to give him oxygen. There was an oxygen tank but nobody in the Insular Life know how to run that oxygen tank. So my God! You have this oxygen tank for you but you don’t know how to use it now that we need it? And so because of that, he was so impressed with our performance. They didn’t charge us for the theater. And that was our home for 25 years. Wow! The kind of appreciation that people give you when you decide to push through with a performance heavy rain and sickness be damned. This is a heart-warming part that Tita Baby shared. And the appreciation from the theater community itself is just as heart-warming knowing how most theater companies today come from the roster of students that the Repertory Philippines had in the past. And they were all trained with us. And I was very touched by Audie Gemora. At the first directorial job of Menchu [Lauchengco-Yulo] was ‘West Side Story‘ that she did for stages of Audie. And she said ‘Tita Baby, can you please come and give me notes? [Etcetera]’. I said ‘Sure. I’d go’. 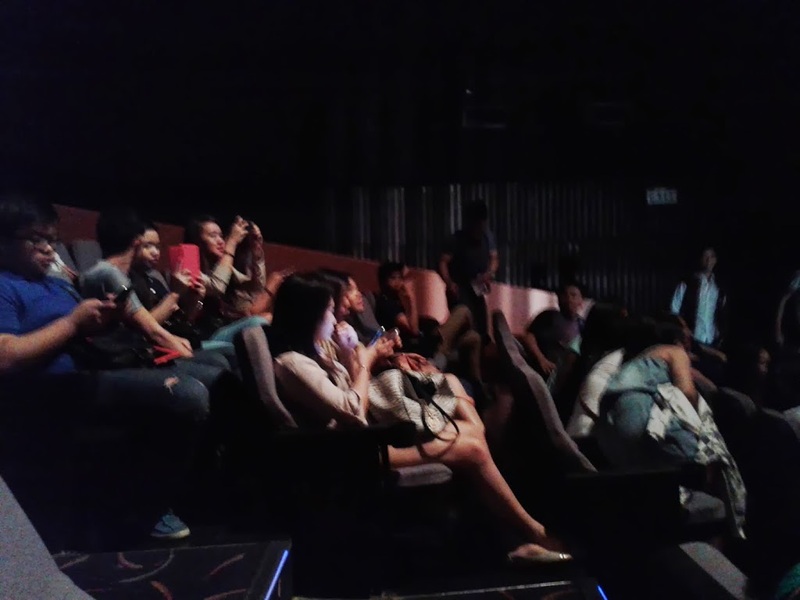 It was in Meralco [Theater] so I went. And then when I was going home, Audie escorted me to the car and said ‘You know, Tita Baby,’ I am very touched, I almost cried, ‘we’re only doing this so that the legacy of Rep goes on’. Isn’t that something? I was so touched because you see, you think that they’re still there. They are passing it on. And that’s what we really want. Although I dreamed that even if I am not anymore around, that Rep will still go on coz I think Bibot would have wanted that too. It’s stories like these that really get you thinking how Tita Baby’s efforts in establishing the Philippine theater scene are appreciated. And it all started with the passion everyone harbored as gifted artists. They were frustrated in the beginning sure but at least they did not stop there. They did something about it and now they are reaping the fruits of their hard-earned labor. No wonder everyone is thankful to have Tita Baby around whether to lend a helping hand or be a guiding light to everyone that wanted to keep the legacy of Rep alive. And Rep is now on Facebook. Please like their page by clicking here to be updated with their latest shows. Who knows if you can find me in their current season? You can find out the next projects or updates about me on my official Facebook page, Kuya Manzano Fan Club, and on my Twitter account @kuyamanzano. Gracias! Repertory Philippines is back on track to be the leading company of the Philippines. Get ready to stick on your chair as you get totally embedded, abducted, integrated in the play, coz you will be on track 100% of the time! 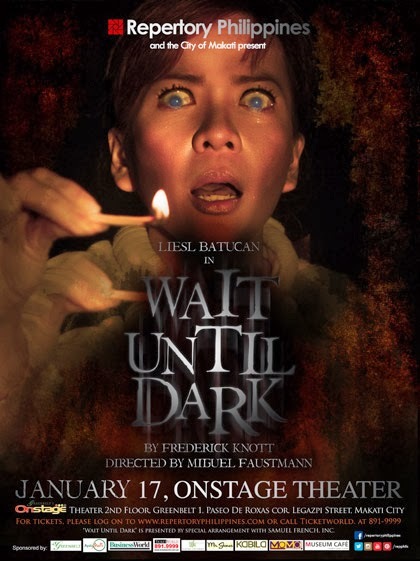 Liesl Batucan plays a blind woman with her eyes totally opened and visible for the audience, and she’s totally believable. At the same time she can act all her character’s emotions and thoughts, and those are a lot! 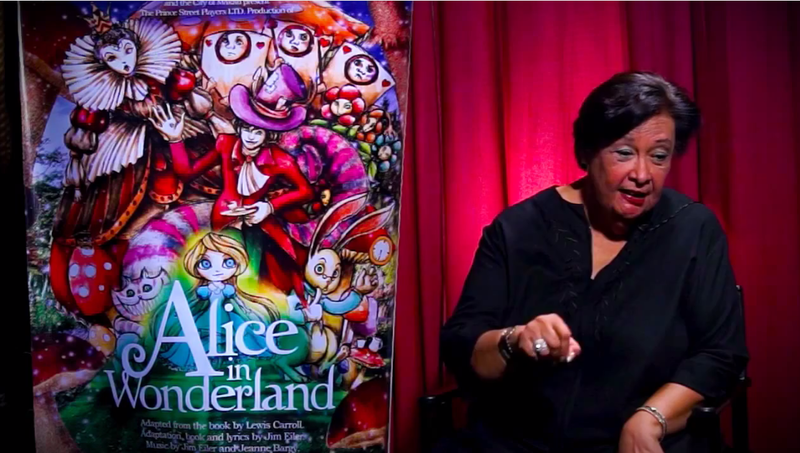 So hands down to Miss Liesl Batucan, Rep’s veteran actress. I can’t reveal much of the plot coz I’ll spoil it for you and you want to watch and experience this good theater production for your self! Arnel Carrion was playing the husband’s role and jumped into the interesting role of … OMG, I cannot tell youuuuuu. The most interesting thing is that it’s so well directed by Miguel Faustmann that you can’t take your eyes off the stage. You can’t expect what’s going to happen next. A delight to watch all veteran actors on stage, also there for you doing a great job Robbie Guevara, Joel Trinidad, Lorenzo Martinez and the young Dani Gana. That’s it. Catch it ON STAGE at Greenbelt 1, Makati, Manila.